Oswego, NY, October 19, 2016 - New York Sea Grant is reminding boaters, canoeists, kayakers, anglers and hunters who enjoy being on the water through the fall season that New York State law requires anyone in a boat that is less than 21 feet long on New York waters to wear a Coast Guard-approved floatation device from November 1 to May 1. “The goal is to keep people safe as they enjoy great natural resources across New York State across all four seasons,” says Coastal Recreation and Tourism Specialist Dave White, based with New York Sea Grant at the State University of New York, Oswego, NY. 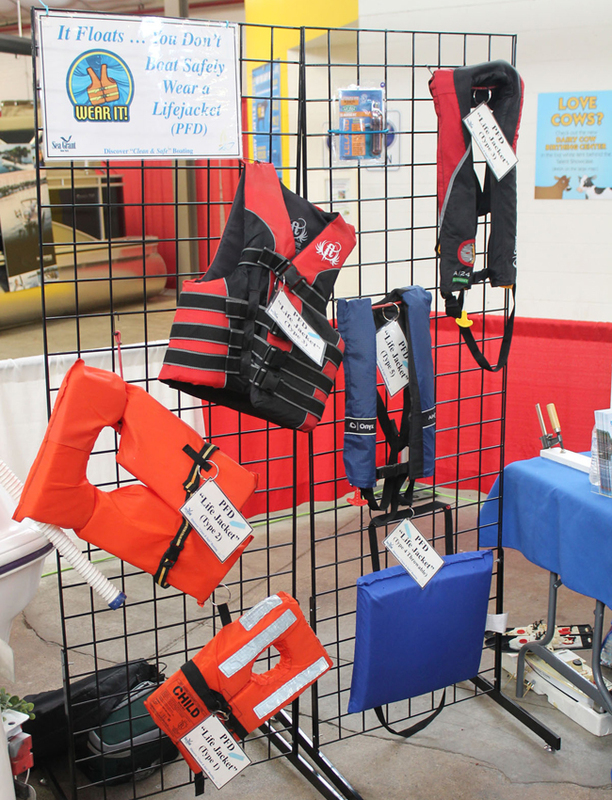 “We urge people to learn about the different types of U.S. Coast Guard-approved life jackets and float suits, select the one that is the best fit for their activities at different times of year, and, the key point, wear it,” White adds. White says the seasonal law is focused on shorter length boats for a reason. White notes that New York has a lot of open water all winter long and suggests that those fishing in waders in streams also wear a floatation device and use the buddy system. Life jackets are required year-round for children under 12, everyone on a personal watercraft, and anyone being towed by a boat. 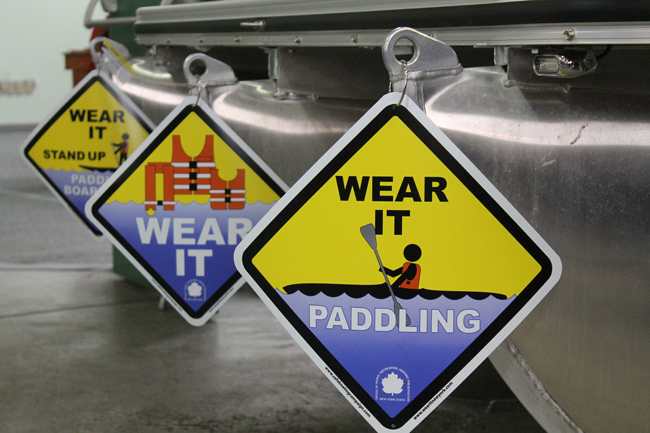 A new safety initiative by the New York State Parks Bureau of Marine Services increases the visibility of kayakers with reflective Safe ‘n Sight decals applied to each side of a paddle. The decals can be requested by sending a self-addressed, stamped envelope to NYS Parks Marine Services Bureau, Safe ‘n Sight Stickers, Albany, NY 12238. A street address is not required.